When I'm shopping, nothing thrills me more than getting a good deal—I almost always feel like I'm cheating the system when I can grab something I've wanted on a discount. When it comes to beauty and makeup products though, it's very hard to find these same levels of gratification deal-wise. Most brands or beauty retailers rarely go on sale, so I almost always pay full price. Beauty Park, a new online destination for all things beauty, changes that. By signing up for a Beauty Park membership ($10/mo), you can save up to 40% off of your favorite skincare and makeup products from brands like, Caudalie, Kevyn Aucoin, Drunk Elephant, Eve Lom, and more. I love that as you shop on the site, and add things to your cart, you can see how much you're saving on your order, which makes me feel just a slight bit more responsible, because 'wow, I'm actually saving money' while I shop. Look at me adulting like a pro. In addition to savings, I love that this site rewards you for being active in their community, instead of just for making purchases. The more you write or record reviews for your purchases, the more points you accumulate, which can be cashed in later for shopping credits. I love that it encourages real, trustworthy feedback on the site, so that as you browse you can truly see what products are worth the hype, and which ones aren't. This oil has been on my Beauty Bucket List for as long as its been on the market. 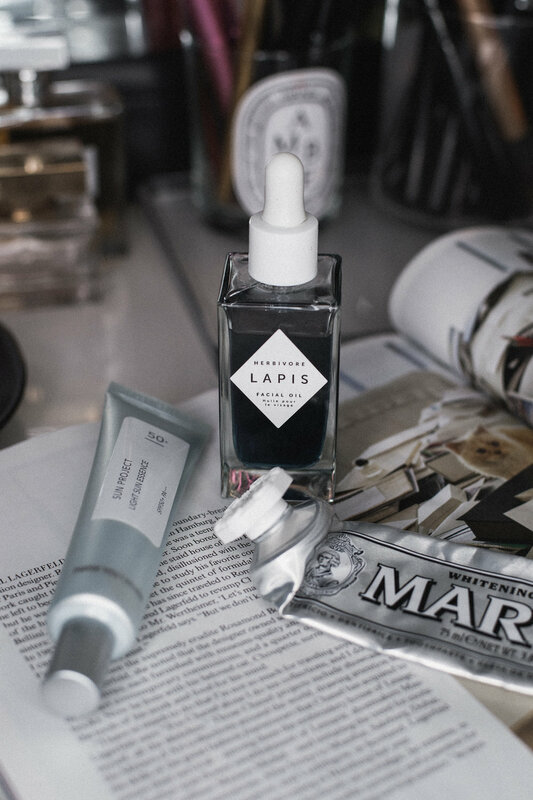 Treatment oils have been something I've loved incorporating into my routine over the last couple of years, and since finally trying Lapis, I haven't been disappointed. 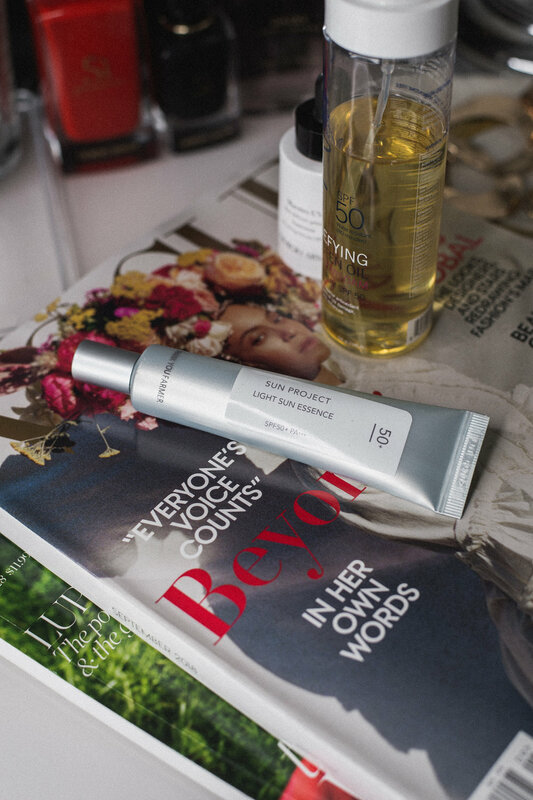 This oil contains Blue Tansy (calming, anti-inflammatory) and Squalene (moisture, anti-aging), which are two ingredients that, in my opinion, make this product so good. When I use this, I can instantly tell my skin feels less irritated and more nourished. I use this in the last step of my nighttime routine, where my skin already looks good after ten steps, but when I top it all off with this, my face really starts to take on a nice, healthy glow. Waking up, I can tell that my skin looks plump and bright, and a lot less irritated as well. As someone will oilier skin, I love that this has helped balance my skin, and doesn't make me feel like a greaseball. Besides its main purpose, I love using this with my jade roller, and gua sha plate—this oil has the perfect amount of slip for facial massages! I'm a big fan of K-Beauty brand, Thank You Farmer. In the past, I've used their Sun Water Cream sunscreen and loved it so much, that I bought it twice in a row. Normally, I like to try out a different SPF after each empty tube, but that was such an incredible product, that I didn't bother looking for anything else. Now that I've tried out the Light Sun Essence, I'm torn. I don't know which one I love more, they're both great sunscreens. This one feels so light and hydrating, it doesn't even feel like a sunscreen. It doesn't look like one either; if you're looking for something to disappear into your skin, this is it. As a brown girl, that aspect is quite important to me, nothing makes me more annoyed than having a grey-ashy cast from sunscreen. I want to be able to throw it on and not feel like I have to follow up with some kind of makeup to conceal the fact that I look like a ghost. I really have zero complaints about this product: I've had zero reactions to it, it blends in like a dream, feels luxurious, and it really works well to protect and hydrate my skin in this harsh summer weather. I drink coffee on a daily basis, so whitening is not just an important part of my oral care, it's a necessity. I've tried my share of whitening toothpastes, and I can honestly say, this one has impressed me beyond belief. I figured if you've tried one, you've tried them all, but I was wrong. This Whitening toothpaste brightened my smile in under a week, I went from having a yellow-ish tint to what I like to call a 'natural' white smile. This stuff won't give you a bleached white look (at least not after one tube), but you will notice your teeth change shades. Besides whitening, I love the way this toothpaste made my mouth feel—CLEAN. My teeth felt polished and smooth, my tongue and gums felt amazing, and the mint flavor was so strong, and long-lasting, my breath always feels icy and cool. After about a month of use, I even noticed some build-up on my teeth had been completely polished away. I'm definitely sold on the brand, I have already tracked down a new flavor to try (Classic Strong Mint), but I absolutely plan on grabbing another tube of the Whitening version soon, my teeth have never looked better since using it. You can try out the Beauty Park membership for 30 days at the checkout of your first purchase (that you can cancel at any time). Let me know if you test it out for yourselves, I’d love to hear what you guys think of this concept! Post was created in partnership with Beauty Park, all opinions are my own.